"A number of people do not want the prime minister anywhere near the next phase of negotiations,"
Prime minister Theresa May is meeting with her cabinet this morning (March 25th) as pressure mounts on her to leave office. They will be discussing the latest developments on Brexit after a weekend marred by speculation about her future. Rumours suggest there's a plot to oust her, but the government has refused to comment. 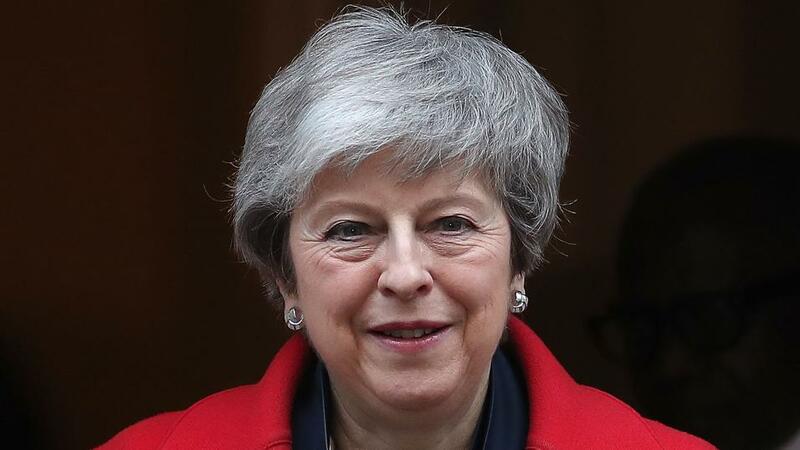 It has been put forward that her departure could help gain consensus for a Brexit deal. A front page of The Sun newspaper urged Mrs May to set a date for her resignation in a bid to convince reluctant members of the Conservative and Democratic Unionist parties to vote in favour of passing her withdrawal agreement. The deal has been voted down in the Commons twice already and she could bring it back for a third time this week, but only if she believes she has enough support for it to pass. Not everyone agrees with this suggested order of events, however, as Conservative MP Nigel Evans pointed out in an interview with BBC Radio 4's Today programme. He said that she should ensure her deal is passed before resigning to avoid the need for an interim caretaker after she leaves. Mr Evans added: "Clearly a number of people do not want the prime minister anywhere near the next phase of negotiations, which is the future trading negotiation between ourselves and the EU." This morning's cabinet meeting comes after Mrs May went to the EU asking for an extension to Article 50 and the organisers of a march for a second referendum say that a million people turned out. While speculation was rife this weekend of a plot to oust Mrs May, two of those named as potential successors to the prime minister spoke out saying she had their full backing. In a bid to get opponents of her deal on board, Mrs May invited a number of them to her country retreat at Chequers. Discussions with the likes of Jacob Rees-Mogg, Boris Johnson and Iain Duncan Smith do not appear to have yielded any breakthrough, leaving her looking for other solutions. The next step may well be a series of indicative votes on alternatives to the current deal on the table, with as many as six options available. This is the approach favoured by Sir Oliver Letwin, a Conservative MP who is championing this move. He told the Today programme that finding out what it would take to achieve a majority vote could help Mrs May to find "a way forward in principle". He added that parliament is unpredictable, so there's every chance they could reject all of the options put to them. The inability for MPs to come to a decision as to the way forward for Brexit could lead to a constitutional collision, with Brexit secretary Steve Barclay warning a general election could be on the horizon. Brexit uncertainty continues to hit the pound, which is jolted again today and is down by almost half a cent against the US dollar. The EU has been adding extra pressure, stating that the UK is increasingly likely to leave without a deal, making things worse for sterling.